Closeouts. 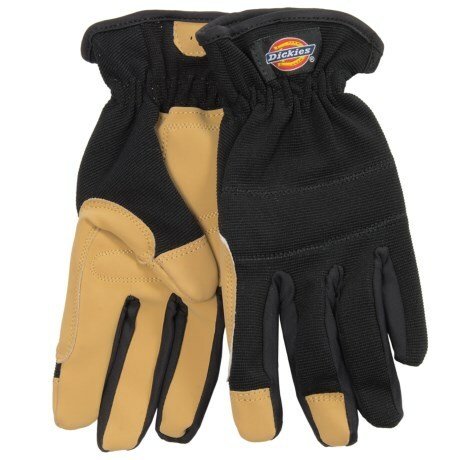 When you want superior hand protection but cumbersome leather gloves just won’t do, grab Dickies’ Tough Task Synthetic Leather Palm gloves. They offer the same protection you’d get from leather but with the dexterity and breathability of synthetic fabric. These gloves have extra padding at the fingers, palm and thumb.